Apple Mac Pro wireless airport card shipped same day via USPS Priority. Pictures are of an identical item. If you have any questions please contact us. 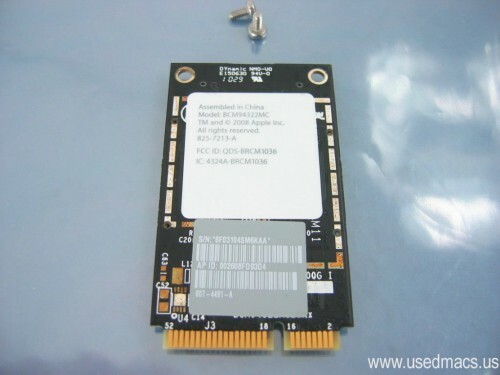 This Mac Pro Airport Card is used has been tested and is in excellent condition. Comes with two mounting screws.